⚡ RangerBoard > Forums > Merchandise > DISCUSSION Lego Megazord, Another try? A few days back I was in the Lego Store and I saw the Lego Voltron for sale and it was beautiful. I did some research and this product was originally a fan idea that managed to successfully receive over 10,000 votes. I had a look online and did see that attempts have been made for Lego to create the original megazord however attempts were not successful. This one in particular was by wahkaka0321 and it received just over 4200 votes. 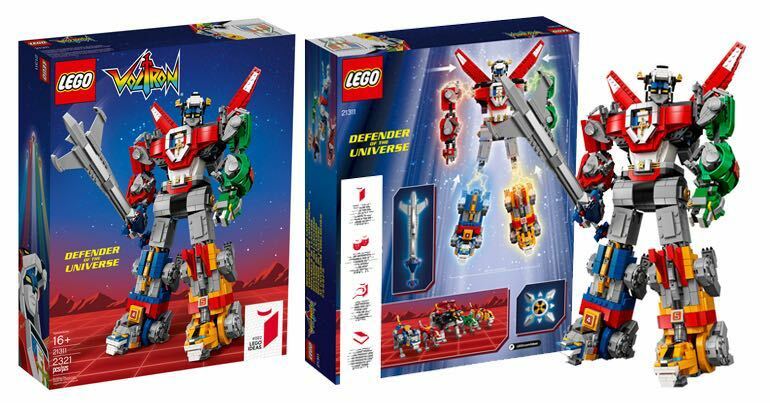 After seeing the Lego Voltron I really want a Lego Megazord. I opened this thread to see if we can come together as a fandom and get Lego to finally make the Megazord. I'm not the one to design the lego megazord however i'm sure there is someone out there very talented and passionate about this to design it. As a fandom lets come together and support it!! wahkaka0321 if you manage to read this, your design was great, how about we try again? That looks really cool. I hope Lego take the idea onwards. Hasbro and LEGO are rivals. Very unlikely. There were 2 Lego Megazords on Lego Ideas of extreme quality. It's a shame Hasbro almost certainly won't do a Lego set. Does Hasbro own a construction set toy brand? Or are they just rivals in the sense that both produce toys for kids? Hasbro has their Kreo line. There was a Command Center on LEGO Ideas, it reached the next stage for review, and it never passed review - presumably due to the license. It wasn't the lack of votes. Not anymore, apparently the Kre-O line has been discontinued. The Wikipedia article states low sales without any citation, but you can't find Kre-O on the Hasbro site anymore. TBH I have never bought a single Kre-o item, I really didnt like the look of what they were offering. However, now that you mention it I havent seen any Kreo items in the toy isles for a number of years now. There were any number of reasons that set didn't pass, the most obvious of which was the fact that it was barely a set at all - it was just a glorified excuse to release six Ranger minifigures. No, MegaBlocks went away awhile ago. Even before the Hasbro thing, that's why the LEGO thing was actually in play. It's a shame, but extremely unlikely.